“You know, it’s not too late for folks to jump in. Who knows what will happen in the future?” former Alaska Governor Sarah Palin said near the close of her two-segment interview with Eric Bolling of Follow the Money from her home in Wasilla, Alaska. Bolling had questioned Gov. 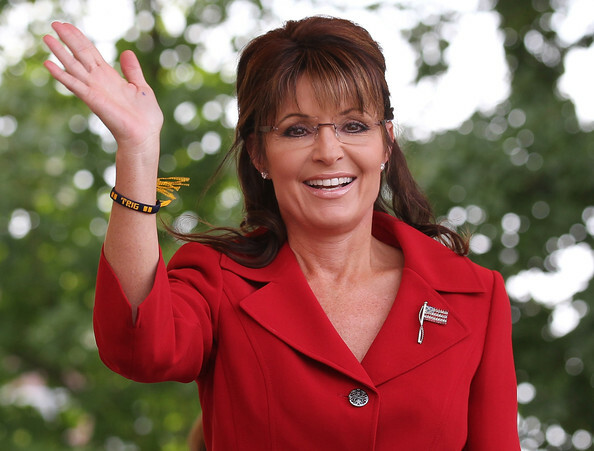 Palin if she would be entering the race even after Iowa and New Hampshire. Gov. Palin will not currently endorse a declared candidate. Most of the interview focused not on 2012 or the the candidates, but on the Keystone XL Pipeline, North Korea and the leftist war on Christmas and Christianity. About the pipeline, Gov. Palin said, “there is nothing wrong with it, except that Obama would be forced to bend his political will to create these jobs. Look at who is in his administration….Joe Biden voted against the Trans-Alaska Pipeline.” The XL Pipeline is “engineered and ready to go,” but Obama is beholden to the environmentalist lobby. “Politics is trumping common sense….It’s 100% political,” she said. Energy independence is a national security, jobs and economics issue, Gov. Palin said. On the death of North Korea’s Kim Jung Il and the succession to his son Kim Jong Un, Gov. Palin said, “If you’re a praying man, pray for unity on that Peninsula. It’s the opportunity for progress and peace across the region.” She said North Korea’s missile launch after the death of Kim Jung Il “should be all the more reason to be wise in our foreign policy and take care of ourselves.” Gov. Palin cautioned against being dependent on foreign nations and reiterated her position that we need to be energy independent using conventional and renewable sources. As with the Shannon Bream interview, Gov. Palin expressed her support of Denver Broncos quarterback Tim Tebow‘s on-field prayers. “I am pro-Tebow. I am proud of him. He is not ashamed of his savior. Jesus will rock your world if you give it all to him. You should try it sometime.” Gov. Palin said Tebow is a good role model and thanked him for being bold in his faith. She told an anecdote about a father with his four sons in tow who look up to Tebow. She suggested that those who don’t like Tebow’s public expressions of faith may be bothered by their own consciences. About the apparent war on Christmas, Gov. Palin said, “atheists don’t need to show up to the party and Christmas is about Christ’s birth.” She made reference to the Seinfeld episode in which Dave Putty told Elaine Bennis that he was not the one going to Hell. Gov. Palin and Eric Bolling concluded the interview by “Tebowing” – a new verb that has entered our lexicon which means to assume the prayer position Tebow uses on the field. As Jewish families gather this week to celebrate the Festival of Lights, Todd and I would like to wish them a very Happy Hanukkah. This beautiful holiday commemorates the story of the rededication of the Temple in Jerusalem, following years of struggle by the Maccabees, when one-day’s worth of consecrated oil miraculously lasted for eight. This story never ceases to inspire because it reminds us of the power of faith, hope, and perseverance. 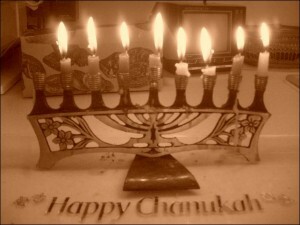 The modern State of Israel is the living embodiment of the Hanukkah miracle – a country that was not expected to survive the onslaught of its enemies, and which has not only survived but thrived as a beacon of freedom, tolerance, and innovation. In a region consumed by chaos and oppression, Israel continues to be a light of inspiration. As Jews around the world sing “Maoz Tzur,” we remember that our nation, too, was conceived in faith in our “mighty stronghold.” Let us cherish the values and warm bonds of friendship that unite us in this season. Producer Mark Burnett says he is in discussions with TLC to bring “Sarah Palin’s Alaska” back for a second season next fall. “The plan would be to shoot this in the summer of 2012,” he tells The Post. New episodes of the outdoorsy reality series — which shows the former vice-presidential candidate fishing, hunting and dog sledding with her family — would not air until after the November presidential election. Last week, reports surfaced that TLC and other networks balked at a new $1 million-per-episode spin-off series featuring Palin’s husband on the professional snowmobiling circuit. “Sarah Palin’s Alaska” premiered in November 2010 to more than 5 million viewers. “It was the number one premiere ever on TLC,” Burnett notes.